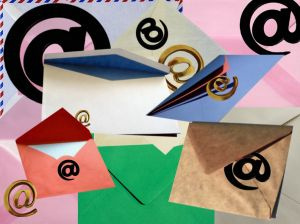 Our recent CharityBuzz blog entitled “Email vs social media: which is better?” caused quite a stir. The title was, of course, being provocative and the blog went on to discuss the recurring “email is dead” argument that rears its head every time a new report comes out showing how many trillions of people use social media. The bigger issue is that there isn’t a right or wrong, and that in most cases we need to be doing both. Back in the old days – say 6 years ago – when Facebook was a new phenomenon, Myspace was all the rage and the future was Second Life, we were all still in that nice, comfortable space where we sent out magazines, newsletters and emails telling our supporters, campaigners and clients what was going on. Since then, we’ve seen the proliferation of digital channels and the diversification of our audiences. We no longer have the comfort of sending out a nice printed mailing and expecting a proportion to read what we say. These days we have current and potential audiences on Facebook, Twitter, Google+ and Linked In, as well as email, websites, blogs, RSS feeds, mobile apps… and then of course the “old” channels of TV, radio and print. Our clients, beneficiaries and supporters have become used to going to their favourite places and reading their news in that channel. It has always amused me that on a simple website we have to have menu navigation, search, site map and breadcrumbs to help people get around. Why? Because almost equal proportions of the web user population use each of these navigation tools to work their way round a site. Similarly our audiences settle on their favourite ways to read digital content, and nothing we can do will change that. If somebody has adopted an RSS feed-reader as their morning paper, has loaded and aggregated all their favourite feeds, from news to scandal to football results, an email is not going to get their attention in a good way. Getting onto the RSS feed list is critical. Similarly, if somebody won’t do Facebook because they think it’s a load of nonsense, spending money on Facebook apps is not going to help. It will take a huge marketing drive, budget and large reward to convert people over to a channel they don’t want to adopt. So bearing in mind that young people prefer text, IM and chat, older people prefer blogs and email, and generation X love Twitter and Facebook/Google+, it isn’t a case of whether to do email or social media; we have no choice but to do both. The challenge for the sector is how and where to spend our thin budgets on all these channels. Very few of us can afford to do all of it. And essentially the only answer is to profile your audiences, think really hard about what they want to hear and where they are, and then spread the budget across as many as necessary. Resources are always going to be an issue for us. Using free tools and linking content together (so that a blog produces an RSS feed, adds content to an email and feeds Facebook, Google+ and Twitter) will help you reach as many audiences as possible for the least amount of work. The tools are free, and it isn’t difficult to do. We just need enough vision and strategic thinking to understand that the onus is now on us to communicate with people where they are. Sue Fidler runs Sue Fidler Ltd, an e-consultancy which provides high quality, reasonably priced web development and ICT consultancy for the not for profit sector. Follow them on Twitter @suefidler or on facebook.com/suefidler.